Sound investment decision–making in the public and private sectors is key to ensuring the sustainable health & growth of the economy. In this GLOMACS Project Appraisal and Risk Management (PARM) program, you will acquire knowledge & tools to conduct project appraisal. If an important capital project does not achieve the financial and strategic goals of the promoter organisation, it can result in financial losses, waste of resources and impacts across wider reputational spheres. If that failure stems from not applying the tools and techniques of modern project appraisal, risk analysis or project selection, these are avoidable errors. The decision whether or not to invest a substantial amount in a new capital project can be based on a range of project analysis tools and techniques, backed up by rigorous, systematic evaluation of alternative options, risk factors and funding solutions. The end result is improved decision making and increased effectiveness of projects. Since each Module is focused on a distinct key strategic aspect of project appraisals and risk management, participants can elect to attend only those modules that bear on their own professional involvement (for example, accounting and finance specialists may opt to attend Module 2). 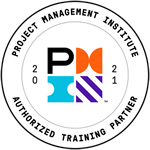 However all three Modules are connected and collectively integrated into an comprehensive overview of the subject matter, with benefits for all participants who need an awareness of the total project environment. This GLOMACS interactive and practical 3-part training seminar on Project Appraisal and Risk Management, comprising 3 distinct 5-day modules, will provide an insight into how procurement organisations can meet the challenge to pick the best projects against a context of limited resources. It will take you through the key stages of project identification, appraisal and ranking / selection, plus expert guidance on risk assessment and management tools to improve project outcomes. This GLOMACS Project Appraisal and Risk Management training seminar will focus on the best tools to manage the project appraisal process; identifying, and comparing significant evaluation methodologies ranging from social and developmental policies through environmental and stakeholder factors to the key mechanisms of economic and financial assessment; and systematically exploring the principal risk factors and other key issues that need to be considered in managing the planning of major, long-term, high-value projects. Exposure to the policy, analytical, economic and funding background for major projects will promote greater understanding of the critical role that project appraisal plays in project procurement. This GLOMACS Project Appraisal and Risk Management training seminar will conclude with an in-depth review of the most widely used mechanism for major projects, the public-private partnership (PPP) contract; identifying, assessing and allocating the principal issues in adopting a PPP model. This GLOMACS Project Appraisal and Risk Management training seminar will utilise a variety of proven adult learning techniques to ensure maximum understanding, comprehension and retention of the information presented. The daily workshops will be highly interactive and participative. This will involve regular discussions on key concept in project appraisal and risk management, the uses and limitations of various techniques, and how best to identify, evaluate, select and structure these high value undertakings. Application of sound project appraisal and risk management techniques will enable the organisation to forecast potential future conditions that might create strategic opportunities or jeopardise project success, thereby not only maximizing the organisation's return on capital invested in projects, but also improving its reputation for delivering positive outcomes. This GLOMACS Project Appraisal and Risk Management training seminar is suitable to a wide range of professionals involved in the development, appraisal, implementation and management of projects. Those with previous experience in project appraisal will be able to share their expertise with others; the broad base of participants ensures that everyone benefits from a wide range of sector and policy perspectives. Each module is structured and can be taken as a stand-alone training course; however, delegates will maximise their benefits by taking Module 1,2 and 3 back-to-back as a two-week training course.